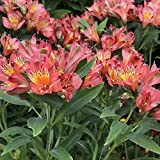 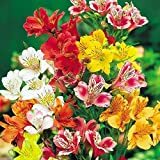 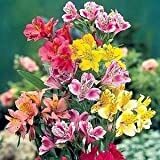 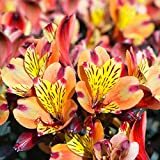 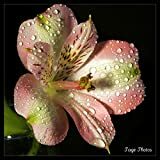 Alstroemeria bulbs for sale – Easy plant to grow, grow for the ornamental flowers or for variegate leaves and can be used as cut flower, planting in early spring when buy bulbs. 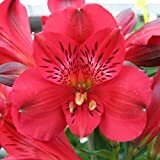 Growing information: perennial plant, growing hardiness zone: 7-10, but also grown as house plant, water needed – average amount, light conditions – full sun to shade, height: 30-60 cm, 1-2 feet. 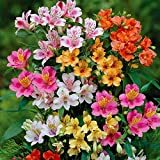 Blooming in the spring to summer in trumpet shaped flowers that appear in purple, red, pink, white, orange, yellow or green color.